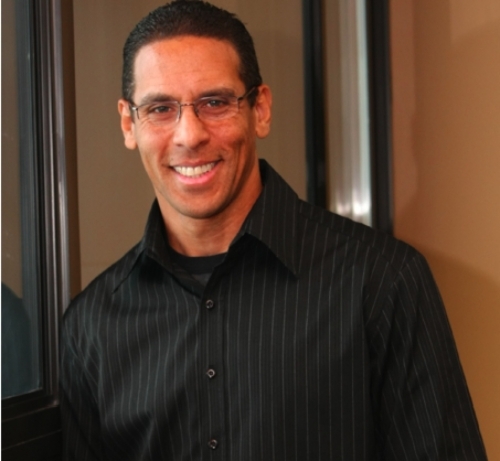 Manassas, VA – The NRB Convention will feature a presentation by Miles McPherson, Pastor of The Rock Church in San Diego, CA, during the Monday, February 20th Keynote Session at NRB 2012 in Nashville, TN. Whether sharing the stage with a former U.S. President, or addressing a prison yard full of inmates, appearing on Larry King Live, or talking to a women’s club down the street, Miles McPherson has a gift for communicating to just about anyone. McPherson, a former defensive back for the NFL’s San Diego Chargers turned megachurch pastor, has a track record of appealing to a diverse audience, large and small, American and international. His humorous, yet bold, down-to-earth style has become his trademark. Two years into his pro football career, McPherson was battling a drug problem and living an immoral lifestyle. That’s when he gave his life to Jesus Christ, and never looked back. He began to work as a Bible teacher, youth pastor and speaker with a track record of appealing to diverse audiences, large and small. Five times each Sunday, McPherson gives a sermon at the Rock Church in San Diego, reaching an estimated 12,000 people. He is comfortable before a television camera, and has been a guest on The O’Reilly Factor, Larry King Live, and Good Morning America. He was asked to lead prayer at the Republican National Convention in 2008, and has been the evangelist at campaigns drawing 75,000 people.